While the release date for EA Sports‘ latest installment in the FIFA franchise, FIFA World Cup 2010, comes closer, EA has announced that a demo will be released on PSN for a taste of what to expect. Details and a video follows. The demo will be released with the PlayStation Store’s regular update tomorrow. 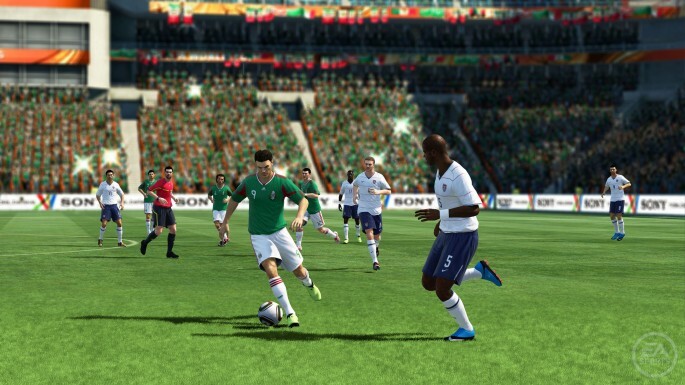 The playable demo of FIFA World Cup 2010 will feature only Italy vs. Spain. FIFA World Cup 2010 is slated for a summer release, in time for the FIFA World Cup 2010 tournament hosted in South Africa.